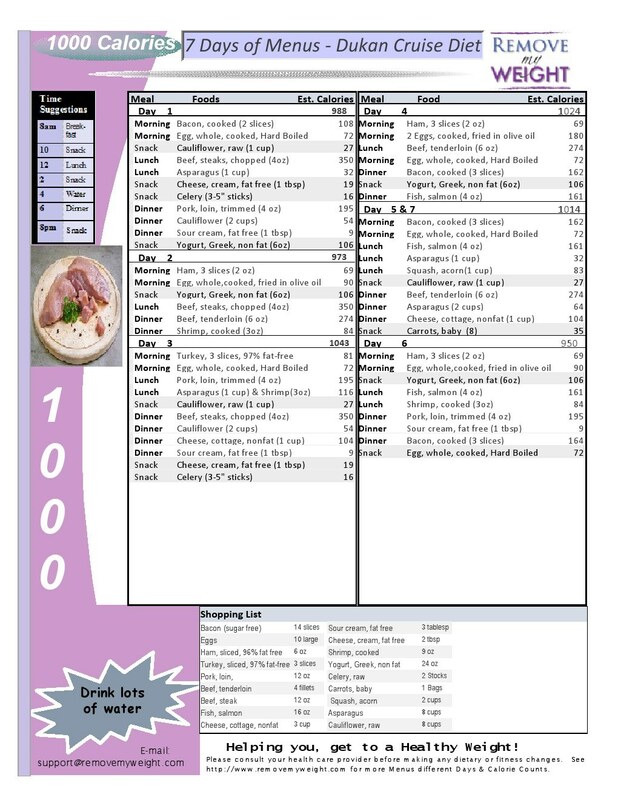 An extensive, fuss-free 1 Week Menu Plan designed for those who are at the tail end of the Dukan Diet Attack phase. This 1000 Calories per day meal plan includes everything you need for one week of eating. 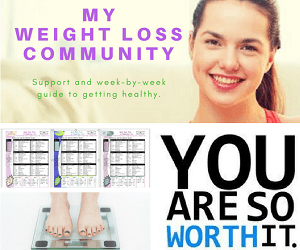 Don’t have a lot of time to exercise and lead a physically sedentary lifestyle yet want to lose weight without starving yourself? This PV (protein and vegetable) balanced meal plan gives your body just enough nutrients to feel satisfied. It is a crucial part of the diet as it helps your body settle into consuming only what it needs to maintain its true weight. Supplement this diet with 30 minutes of walking daily and drink lots of water. Cook with good fats like olive oil, but be mindful of how much you use. Poach proteins in a herb bath. A great way to get flavor without fat. Place quick-cooking proteins (i.e. : fish), vegetables, herbs and drizzle with olive oil on baking paper and wrap into an air-tight parcel. Bake or steam to get a flavorful meal that’s quick and fuzz-free. For those looking to maintain their weight and exercise moderately. For those familiar with the Dukan Diet and work out frequently. For those who started the Dukan Diet and wish to progress to the next step. For those who just started the Cruise phase of the Dukan Diet.